Living under the Australian sun, we live highly speckled lives – sun spots, freckles, pigmentation – it is basically inevitable. Having lived Internationally, I now realise the amount of vitamin D we get living under the Southern Cross soars grotesquely when compared to our pale faced ancestors. I’ve tried my face at many a lightening ‘wannabes’ and spent a fortune trying to erase my sun-sins to no avail. Estee Lauder Idealist helped brighten my complexion and made me look like I had 8 hrs of sleep, even fooling my boss into thinking I loved 8am board meetings, when I had in fact been battling 5 years of insomnia, and wanted to punch my self in the face. But, it did nothing for my pigmentation. I threw open my wallet at Palmer’s Fade Cream only to end up with stained orange sheets. I even resorted to Vampirism spurred on by an obsession with all things non-living (Being Human, Vampire Diaries and Twilight)- this just left me with low levels of vitamin D, a csorisic yellow tinge and a catatonic-like lethargy that couldn’t be kicked even if Red Bull was injected into my veins! Lets not overlook the fact that I ended up heading more towards albinoism and alas, my freckles became more obvious. Now this brought me to John Plunkett Superfade. Spurred on by Zoe Foster’s rave reviews, I strolled down to the Pharmacy (ok, I drove, I’m too lazy to walk) and picked up a tube of this pigmentation busting cream and prayed I’d be blessed with porcelain Adele-like skin. Superfade trumps all other ‘fading’ products in that it works underneath the skin (as opposed to just on the surface). I’ve tried many fading creams to get rid of my freckle-laden face and this is the only one to noticeably change my complexion. Don’t get me wrong; I like my freckles and that they are “quirky, “cute”; but, recently had my confidence pummelled by a drunken stranger who compared my sun-specs to (wait for the cringe factor) “Lindsay Lohan’s except more patchy and less obvious that they are freckles”! Let’s just say, this was the juncture that started me on my fading journey. Superfade has a light texture, is easily absorbed and a little certainly goes a long way. 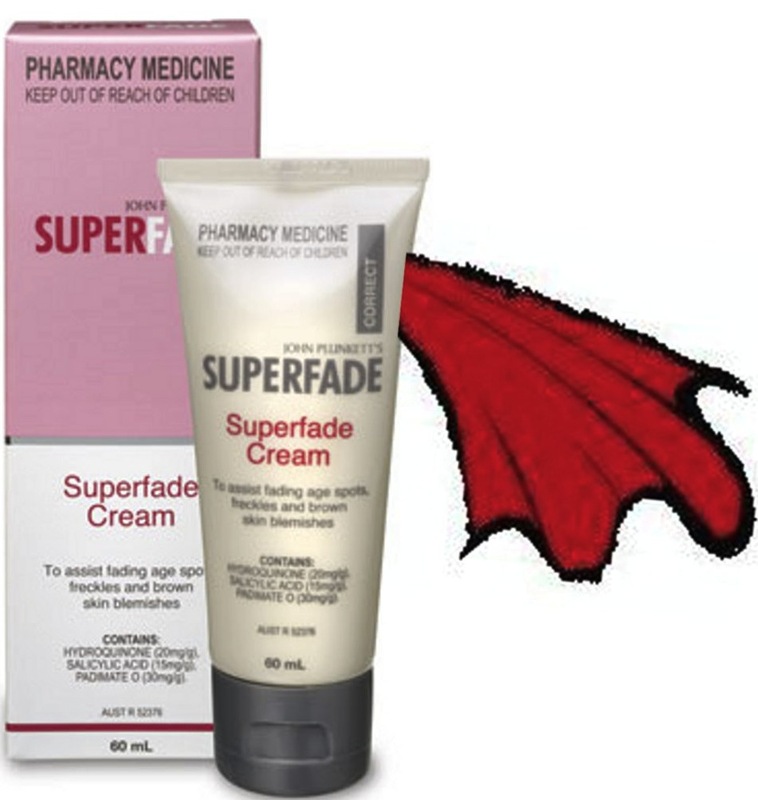 The brilliant thing about Superfade is that a tube will last you a couple of months and results can be seen after 8 weeks. If I’d known what I know now about the importance of sun protection in my teens, I definitely would have avoided those tanning expeditions. With continued use, I’ll be able to even out my skin tone, all the while being super vigilant about sun protection. All Australians need to try this True Blue Aussie invention. It really is, a miracle in a tube. Have you had an experience with fading creams before?